Armor All Natural Finish Detailer Protectant combines Armor All protection with powerful cleaning ingredients, so you can clean and protect interior surfaces with one product. It effectively removes dirt, dust, and grime while protecting against discoloration. 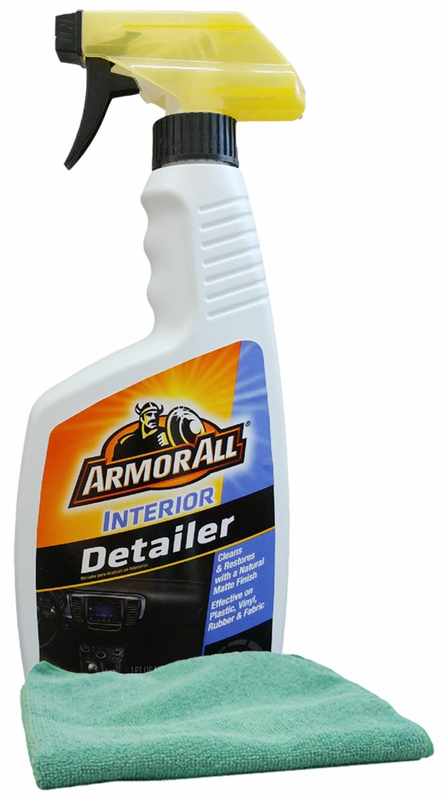 Armor All Natural Finish Detailer Protectant leaves a low shine, clean finish on your dashboard, door panels and consoles. Superior cleaning for rubber, plastic or vinyl. This all-in-one product cleans and protects to keep your car looking like new! Comes in a 16 oz. bottle.